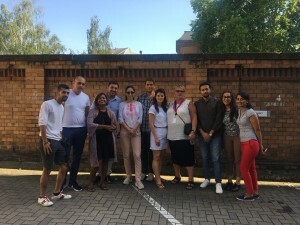 Phiren Amenca combined the Young Roma Advocates Seminar with the European Youth Event in Strasbourg, thus participants from different countries came together, learnt about antigypsyism, advocacy and had the chance to visit workshops in the EP, meet MEPs and share their messages, recommendations. During the week, after introduction and teambuilding games, the participants had the chance to deepen their understanding of antigypsyism by bringing detailed presentation about some examples of their countries. They had the chance to meet and have an interesting and engaging discussion about Roma youth involvement and political participation with MEP Soraya Post and Mr. Thorsten Afflerbach, the Head of Division for the Roma and Travellers Team. Partipants also got to know more about the European Youth Forum (EYF). During the seminar, they learnt about advocacy in theory and had the chance to implement it in practice by creating online and offline campaigns, such as policy recommendations, social media campaign and a flash mob. 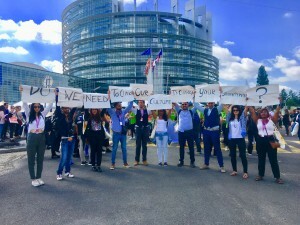 Through these actions, they made their voices heard in order to influence decision makers regarding the future of Roma. On the fifth and sixth day of the seminar, on the 1st and 2nd of June, we brought our group to the European Youth Event, which hosted around 8,000 young people from all over Europe and we implemented our public actions there in front of the Parliament, in Strasbourg. Participants also had the chance to attend workshops scheduled throughout the two days both inside and outside the Parliament, open activities in the YoFest! space, where they also presented their recommendations and spread the voice of Roma young people. 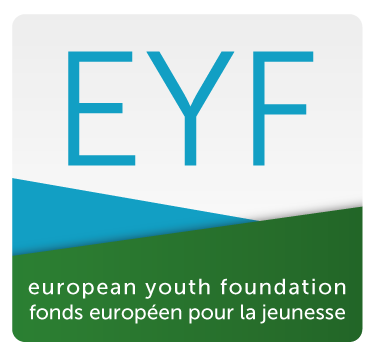 The training was supported and financed through the European Youth Foundation of the Council of Europe.